Navigate through your folder system to the file you want to covert. 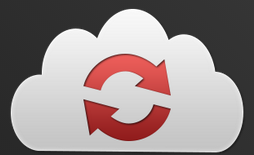 Click once on the file’s icon and drag it onto the CloudConvert webpage. Or if your file lives in Dropbox or Google Drive, click the “Select files” button to find the file you want to convert. When you click “Select format” CloudConvert detects what kind of file it is to determine your options for what kind of file you can convert it to. Here I uploaded a docx file, so CloudConvert has given me two main choices: Document and ebook. When I mouse over ebook, I get a dropdown menu of the 8 file types that can work with ebook software. I chose epub. In the last step, “convert it,” I can choose to have CloudConvert email when the conversion is complete, or I can have the file saved directly to Dropbox or Google Drive. If you choose the email option, CloudConvert will ask for your email address. If you choose Dropbox or Google Drive, a popup window will ask for your permission to use your chosen service and to add a folder inside of that service called CloudConvert. Finally click the big red “Start Conversion” button. If you chose email as your notification option, you will get an email with a download link. If you chose Dropbox as your file save location, the CloudConvert folder will be inside of your Apps folder. If you don’t already have an Apps folder, one will automatically be created. Dropbox folder -> Apps folder -> CloudConvert folder -> YourConvertedFile. If you choose Google Drive as your file save location, the converted file will be saved in your root folder. Google Drive -> YourConvertedFile. After the file has been converted, CloudConvert marks the file with a green “Finished” icon with a message about what they did with the file (“Sent file into your Dropbox). To the far right is a green “Download” button. You can manually download the converted file here, or more interestingly, you can convert either the input file (Pocket.docx in this example) or the output file (Pocket.epub) into another file format without having to upload the file again. You can even get a QR code for quick downloading to your smartphone or tablet. You are welcome to use CloudConvert as a guest. If you register for a free account, you are allowed more conversions per day and a bigger maximum file size. CloudConvert is currently in beta, so perhaps there will be a pay-for version that will give you even more power. You can see the difference between what guests and registered users can do in the chart below. The “storage time of converted files” only matters if you choose the “email me” notification option. If you asked that the converted file be saved to Dropbox or Google Drive, it will be saved in that location as soon as CloudConvert does the conversion; it doesn’t matter how long CloudConvert keeps a copy. My go-to file conversion service has been Zamzar, but CloudConvert is a compelling alternative. The ability to have files automatically saved to Dropbox or Google Drive is reason enough to try CloudConvert. I won’t annoyingly post this on every post here, but I’ve never posted this comment here before, so I think it is worth sharing at least once. There are good reasons not to use this sort of SaaSS. We should not set ourselves up to be dependent like this when file conversion utilities are readily available to do on our own.